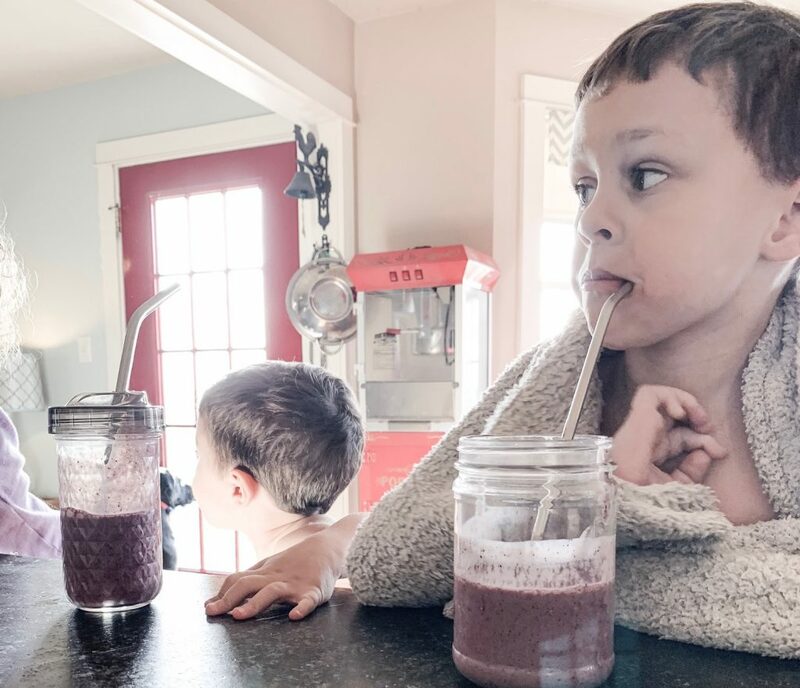 This smoothie recipe is such a hit with my whole family even though it gives them a good serving of SPINACH! Yep, nobody is the wiser – I still have to hide when I add the spinach for some of my more picky kids… SHHH, don’t tell them. 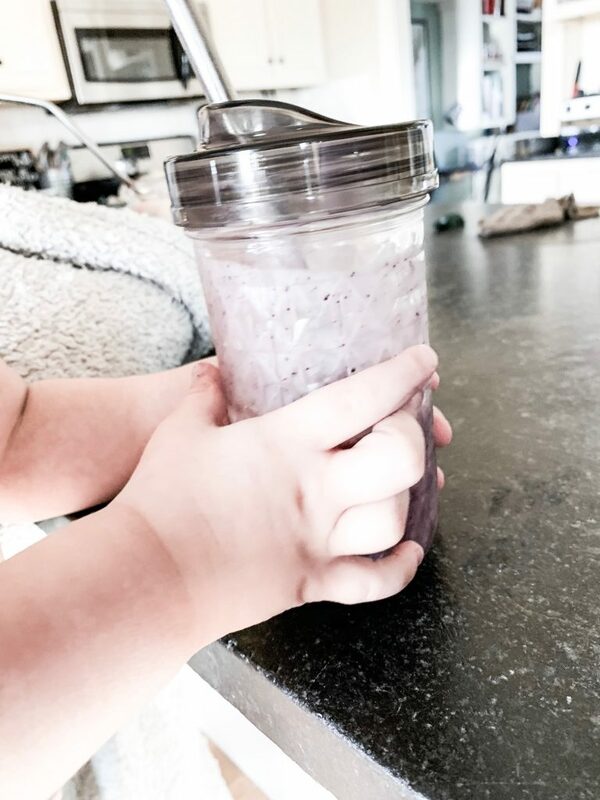 I use a vitamix blender to make these smoothies. If you don’t already have one they are AMAZING! I resisted spending the money (they are kind of pricey) for it for YEARS and finally got it as a birthday present for myself a few years ago and it was some of the BEST money ever spent! I got mine on Amazon, but you can get one from many different places. THIS is the model I have. *Note: I buy bags of fresh spinach when it’s on sale and then just freeze the bags. Once it is frozen I just crumble it up so that I can pack a cup with it for the recipe. Use a vitamix, bullet, or blender (regular blender will make this a bit more coarse) until well blended. Use a vitamix, bullet, or blender (regular blender will make this a bit more coarse) until well blended. This makes about 3-4 small smoothies or 2-3 larger ones. Let me know how you like these!